(ZIZ News) — Four students pursuing tertiary education overseas have received financial assistance from the TDC group of companies after being named recipients of Michael L. King scholarship grants. Vasnee Williams and Kerese Dias of St. Kitts and Sherielle Forbes and Kimesha Sutton of Nevis accepted the Michael L. King Honorary Scholarship Grant at a ceremony held at the TDC training room on Thursday. On behalf of Minster of Education Hon. 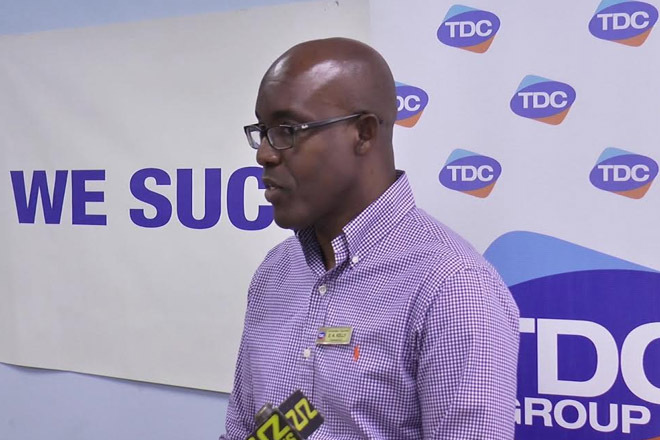 Shawn Richards, Education Officer Debbie Isaac commended TDC Group Of Companies for their vision. “We want to commend TDC Group of Companies for your vision for the scholarship scheme. We all recognized that these are still fiscally challenging times. For an organization like TDC Group of Companies to award four deserving students in the Federation $5000 U.S. each is indeed testament of the commitment to the human resource capital,” she said. Chairman of TDC Group of Companies Earle Kelly commended the awardees on being chosen and encouraged them to contribute to the federation after they’ve completed their studies. This is the ninth year that TDC has presented the MLK scholarship to local students.